I've created this article how to become enlightened based on more than a decade of research. I hope that these 10 simple steps help you on your journey! For this article, I’ve used some ideas from Tara Springett’s wonderful book Enlightenment through the Path of Kundalini (with Buddhist roots) and the Law of One online database. Please enjoy these ideas, but don't make any of them "gospel"... and run them through your own discernment. Spiritual enlightenment is not a skill you can learn, a system you can purchase or a program you can complete. It is an ever-changing, expanding inner state and a surrender. While the following tips on how to become enlightened are simple, this doesn’t mean they’re easy. In fact, enlightenment is a journey that takes many lifetimes. But! If you follow these tips, you'll be headed in the right direction. And you'll have access to the real secrets on how to change your life. Check your motivations: why do you want to become enlightened? If you really want to know how to become enlightened, check in with yourself first and ask why. If you’re seeking enlightenment for fun, for money or to get more stuff to make you happy, you should be aware that this will backfire. You’re seeking how to become enlightened for the benefit of all beings. The Law of One is a series of five books channeled by Carla Rueckert and facilitated by Don Elkins and Jim McCarty between 1981 and 1984. The Law of One database is available at lawofone.info Author David Wilcock has also created the shorter Law of One summary guide. See what resonates - but don't make it into "gospel". I've also heard that it's filled with a mix of truth and disinformation - so here we are, back to our own discernment. Sharing the following because it resonates with me... enjoy! Everything I’ve read on how to become enlightened says that we must respect others' free will. If we don't, we'll create karma for ourselves! As The Law of One says: “the force of free will is paramount”. Honouring another’s choice is easy when we agree with someone. It’s more difficult when we don’t agree – especially if it’s someone we love, or someone who's cruel. Nevertheless, if you want to become enlightened, honouring another's free will no matter what, is a way or being you’ll need to grow into. As you learn how to become enlightened, one of the shifts you’ll need to make in your thinking is that every difficult experience you’ve ever had is for one reason: to catalyze you to go within. After you’ve healed, forgiven and processed the emotion around your experiences, you’ll need to move the resonance to your heart as well. This may not happen overnight, and that’s fine. By the way, it’s not our job to figure out others spiritual catalysts. In fact, according to the Law of One, this will infringe upon their free will and create karma. The goal of spiritual growth and enlightenment is not to make you dependent on anyone else, even if they have a pure heart. If you want to learn how to become enlightened, nurture your OWN relationship with the Divine. This means learning how to open your intuition and psychic ability and cultivating your own discernment to the best of your ability. If you’re wondering how to become enlightened, seek physical and emotional healing. In my own spiritual awakening journey, I’ve worked with many practitioners as I've needed to. The ones I’ve landed on for maintenance focus on energy. 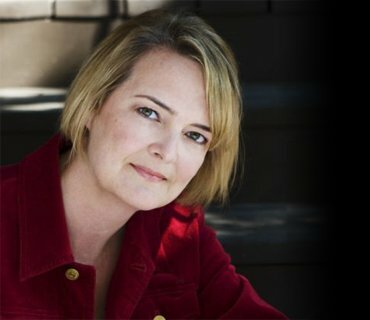 In Toronto, my Homeopath Janet Nielson is great. I also go to Helen, my BodyTalk practitioner. In 2015 as I write this page on my site, I also added Source Energy Medicine to my regime. It’s free (with a suggested donation) and anyone can do it. There are many, many ways how to become enlightened and physical healing is part of the process. What I’ve been drawn to you may be for you, or it may not. Follow your own intuition and the signs you’re receiving along the way. Trust your heart. And! Be careful of “healers” who encourage dependence. Read more about that in my article Spiritual and material enlightenment. Many say that if you want to learn how to become enlightened, you should meditate and empty your mind. This is partly true. But prolonged meditative states, emptying our minds or leaving our bodies is not the end goal of enlightenment. True enlightenment is a bit different. It creates a bridge between our physical life force and the higher vibrations outside the earth realm. Buddhist psychotherapist author Tara Springett says that meditation is a wonderful tool and emptiness can be a step toward enlightenment. However, emptiness is not enlightenment itself. It is a state that can hasten enlightenment. The heart is a gateway to experience. It helps you sense. It’s where we awaken our bodies and connect to the divine. If you want to know how to become enlightened... allow your heart to open. There’s scientific evidence that the heart is important to enlightenment (which is why I write for the Heart). If your left brain is curious about the science of heart energy, check out HeartMath. If you really want to know how to become enlightened, I believe that this is a powerful step – and one that very few people talk about. For some of you, what I'm about to say may be bit controversial. Life here on earth is not all Love and Light. Whether we like it or not, there’s still alot of darkness here. Avoiding negativity, denying it or not “going there” will not make it go away. In fact, avoidance is a fear response. And the darkness actually grows through our fear and willful ignorance! This is what I've come to believe: seeing the darkness clearly and remaining centred in love is much more powerful than hiding from it. To some, this may just mean scanning the news. For others, it may mean tumbling down an alt news rabbit hole (like I did quietly for more than two years). 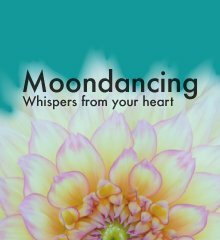 Read more about my journey in my Moondancing newsletter issue This is how the truth comes. Go as deep as you feel you can. Start small. To start, consider reading Paul Hellyer’s Money Mafia book. Or Richard Dolan's UFOs for the 21st Century Mind. 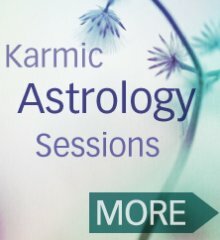 When you're ready, explore other recommendations I make in this site, woven into my ascension, enlightenment and intuition articles. Give yourself breaks – this kind of truth-seeking can get intense. Take care of yourself with healing or balancing activities. Don’t get drawn in to online debates – unless you have a naturally fiery nature. I’ve never engaged in online debates myself. When you’ve reached the bottom of a rabbit hole (there are many) hold the situation with love in your heart and STRONGLY WITHDRAW YOUR CONSENT. If enough of us do this, there will be less and less energetic support these activities. 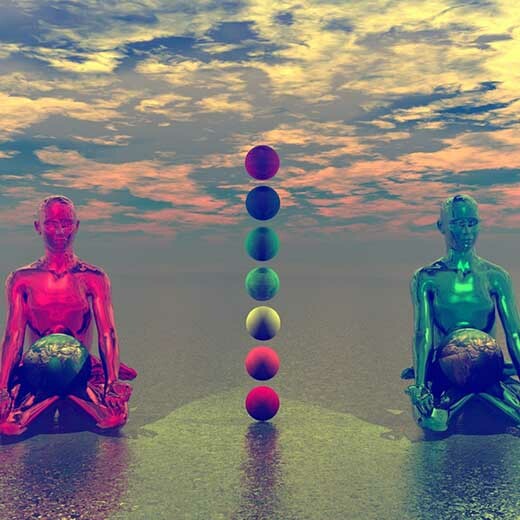 Tara Springett writes that in order to reach the enlightenment state, we need to awaken ‘tummo’, more commonly known as Kundalini. Kundalini activation is a bridge between the sea of love and our physical bodies. It’s not your ultimate goal. But once your Kundalini is active, growth can occur more quickly. Tara is an experienced Buddhist psychotherapist, by the way. She works with people going through signs of kundalini awakening who are interested in how to become enlightened. The more clear and functional your chakras are, the more beautiful your world will appear. As I mentioned earlier in this article, the heart is the most important chakra and all chakras support the heart. For my most intensive chakra work, I used a modality called Psychosomatic Energetics created by Dr. Riemar Banis – Google it and see it if resonates. According to Buddhist teachings, enlightenment can only be reached by abandoning the self and uniting with a higher vibration deity. Tara Springett refers to White Tara. I refer to it as simply Source. But really, the intent matters more than the name. If you want to know how to become enlightened, know also that at some point in your journey, you’ll need to surrender. Finally! As you continue your journey, careful of thinking you know everything, for doing this can slow your enlightenment journey. I don’t know everything. Neither does your guru! It’s easy to feel blissful when your life is going tickety-boo. But when life goes off the rails, can you hang on to the blissful feeling or quickly find it again? If so, well done! You’re really learning how to become enlightened. But don’t be surprise if you’re tested. If you are, you haven’t failed. This is just part of the process. Enlightenment is not reaching the top of a mountain, or all of a sudden being giving superhero powers, though some of your experiences may appear supernatural. It’s more like a delicate, flickering flame, always balancing, always moving. If you engage life in a way that opens your heart and empowers you while seeing the truth in front of you and remaining humble, you will find your way. For those who wonder what awakening and the signs of spiritual growth look like in modern life, I invite you to read my book, Moondance – an addictive spin on life, love and the nature of reality. I wrote it when I was first awakening and experiencing some challenges in love and work. Do you now know how to become enlightened?